Graze has been delivering healthy snack boxes to homes and offices for nearly 6 years in the UK, since its first launch in 2009. We look at how it still rates against other UK snack box subscriptions and what new features Graze has launched to keep things fresh and interesting. ​In summary, Graze delivers a nibble box containing 4 punnets of snacks directly to your door or place of work as frequently as you wish, I have 1 delivered each week. The snacks that you receive can be rated in your Graze Profile, so future boxes can be tailored on your tastes and preferences. 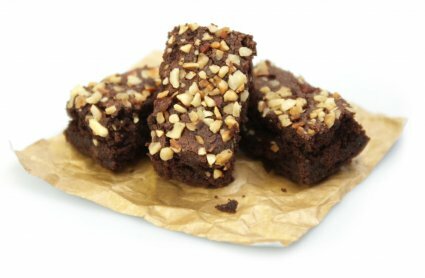 A typical example of snacks in a box can contain flapjacks, olives, nuts, berries, crackers, dips and there's also a few less healthy items served as treats such as chocolate brownies, chocolate buttons with dried fruit and small cakes. ​You also receive a small contents card with full ingredients and nutritional values for each punnet for those who calorie count or want to evaluate how healthy the snacks actually are. Discount Graze coupon codes are also thrown in for you to share with your friends, with the incentive of you getting a free Graze box if they sign up. All graze boxes cost £3.49 delivered. To get 3 Free Boxes use the code : DAVIDT7LP at Graze to get your 1st, 5th and 10th Box free of charge. ​Graze has become very popular in the typical office environment, due to an increasing number of people actively looking for healthy snacks to munch on at their desks at work. The abundance and convenience of sugary snacks ​make it all too easy for people to grab another bag of crisps or chocolate bar on the go. This common habit, not only has its health concerns but can also prove to be expensive throughout the week. Those trying to switch to healthier alternatives are then faced with the challenge of sourcing and preparing snacks themselves to last throughout the week. The chore of shopping combined with the ongoing need to try different snacks for variety often result in failure and falling back to those bad snacking habits. ​Graze has solved this problem and met the demand, by taking care of everything, allowing you to simply relax and enjoy the benefit of receiving a box in the post full of healthy snacks that have been picked by experts and tailored to your your tastes and preferences. Graze subscribers eagerly await to see what new items are in each graze box, share what they have and spread the positive message of healthy snacking without the inconvenience of having to source the snacks themselves. The Sharing Boxes each contain 5 resealable pouches that each contain the equivalent of 5 standard Graze punnets worth of snacks, so 20 punnets in total. Good for families , groups of work colleagues or lone graze fanatics that want a healthy stockpile of graze. Priced at £15, buying in this bulk format saves you money as you are getting 20 regular punnets worth, at 75p a punnet, compared to the standard 97p a punnet in the regular boxes. The Graze service creates an overall positive experience, clear and friendly communication, easy to use website, cool engaging packaging and most importantly tasty healthy snacks delivered at a fair price without hassle. Get 3 Free Boxes! - Get your 1st, 5th and 10th Box Free - Use Code : DAVIDT7LP and sign up here. 15 years as a Full-Stack IT developer and consultant, currently working with clients in education, digital marketing and online businesses. Founder of Subscription Radar and Toon Media. Passionate about working with online technology, startups and travel. Big fan of Tim Ferriss, The Lean Startup Model, SAAS and the Subscription Model. I got a coupon through the post a while back, saying: “1 FREE box”, with instructions of “how to get hold of your FREE first box.” I left it a while, being in no hurry to try the snacks. However, today I thought I’d give it a try. So I went to their website, and after entering my promo code, all my details, card (which I was assured would only be used for initial verification) was put through to an ordering page. I selected a box, and after choosing a few preferences I was told that my box would be on its way. Excited and pleased with the experience, I logged out. An hour ago I received a bill, for £1.99. Not sure what to make of it, I logged in and saw that my first box was half price. Half price isn’t quite free. It’s close, nearly there (about half way), but not free. I couldn’t see what I’d done wrong! I’d entered my code, chosen a box, and was told that it wasn’t free. Maybe I’d got the wrong size? Nope, I made sure that my box was the one on the coupon. Still, it could be that the promo applied to only certain boxes? No again. All the boxes appeared as “half-price” for the first box. I tried to phone customer services, and got the phone in my hand before I realised that there was no phone number. I searched around a bit, and found a phone number which I thought could work. I await my £1.99 bill tomorrow morning with trepidation. But I’m more nervous about the 5:30 alarm I’ve set, so that I can get up before the 6am deadline and cancel the order. All in all, my experience? Well, with no customer services to complain to, no forums to feedback, no people to talk to, no response and a bill which I wasn’t expecting: peeved, to say the least. I will not be ordering a graze box ever, and I attempt to encourage everyone else to heed my warning of false advertising. A displeased and “peeved” customer. Thank you for leaving feedback for us, Ben. We’re very sorry to hear that there was a problem with your promotion code. However please rest assured that this would have been only the result of a technical problem, and so definitely something we can help you with, to ensure you’ll receive your first box free, as intended. I understand that we replied to your email first thing yesterday morning, and that this has been corrected for you now. However if there’s anything further we could do please just let us know. I’d also just like to reassure any readers that the promotion code mentioned here in David’s post was not the promotion that was involved in this issue. If you have a question about your own order though, you can contact us at hello@graze.com and we’ll be back in touch as soon as possible.